If there’s one thing women need, it’s to be healthy. Women are continuously on-the-go. That means their energy levels need to keep up. But what happens when you’re exercising regularly and eating the right foods, but you still seem to lack energy? A women’s multivitamin mineral formula could be what you need to help you boost your energy levels and combat nutrient depletions. Nutrient depletions occur when your body is not receiving the correct amount of vitamins, minerals, amino acids, fatty acids and other nutrients. This can be caused by numerous factors, such as an unhealthy diet, prescriptions drugs and medications, and free radical damage. View InVite®’s Drug-Induced Nutrient Depletion Chart for more information! “We live in an increasingly polluted environment, loaded with toxins; the soil we grow our food in is often nutrient-depleted and many consume processed, factory-made foods supplying scant nutrients. Ironically, our bodies wind up requiring even more vitamins and minerals to effectively metabolize nutrient-depleted foods. 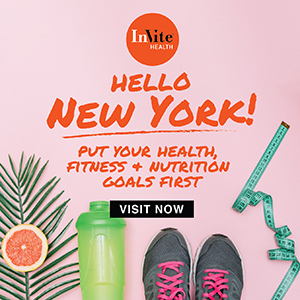 Add that depletion with less time spent outdoors, minimal exercise, prescription drugs and medications, and chronic stress, and the result is that many individuals are truly nutritionally deficient,” reports Archana Gogna, MS, CNS, MBA, Director of Nutrition for InVite® Health. For these reasons, healthcare professionals are advising their patients to start taking a safe, reliably-made, high-quality multivitamin mineral formula on a daily basis to fill the nutritional deficits in their diet. According to a recent USDA survey 37% of Americans do not get enough Vitamin C, 70% do not get enough Vitamin E, nearly 75% do not get enough Zinc, and 40% do not get enough Iron. But not just any commercially available nutritional supplement product will meet these needs! There are simply other nutrients and minerals that women need that differ from what a man, child or athlete’s body need. Further, commercial brands of vitamins do not provide quality behind their products. These brands do not take the necessary steps to provide their customers with the most well-researched, pure, non-GMO ingredients available. So, what do women need? Women need a series of B-complex vitamins, which support healthy cell growth, help to maintain skin and muscle tone, and support metabolism, immune and nervous system functions. The mitochondria is the powerhouse of the body, which is involved with energy production. Ubiquinol CoQ10, or Coenzyme Q10, is an important energy-releasing nutrient that allows calories from food to be absorbed and utilized as energy. Tocotrienols, or Pine Bark Extract, are powerful protectors for artery walls, the heart, liver and for sexual organs. It acts as a cellular protector against free radicals. 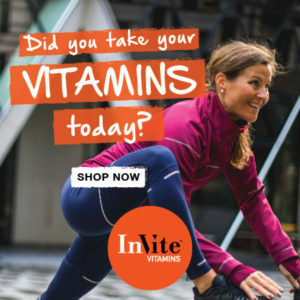 A simple multivitamin formula may have that, but InVite® takes it even further. Scientific Director and Pharmacist, Jerry Hickey, understands that women need different vitamins and minerals. Because of this nutritional need, he has developed a superior Women’s Multivitamin that provides all of the necessary vitamins and minerals, with a superior twist – four ingredients that naturally support women’s health. 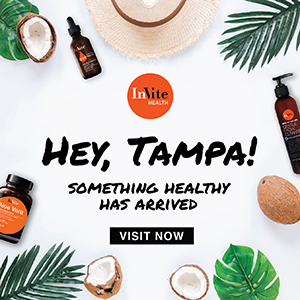 InVite®’s superior Multivitamins are designed around a core of energy-producing nutrients along with powerfully protective food-derived antioxidants. Each Multivitamin is designed to address the replenishment of core nutrients depleted by commonly prescribed drugs, to support physical activity, and to support the increased need for particular nutrients during the aging process. Additionally, they are designed to help protect vision and memory health. Questions about the Women’s Multivitamin? Leave Scientific Director and Pharmacist, Jerry Hickey a comment below! *†These statements have not been evaluated by the Food and Drug Administration. These products are not intended to treat, diagnose, cure, or prevent any disease. How to Energize Your Body: Once & For All!